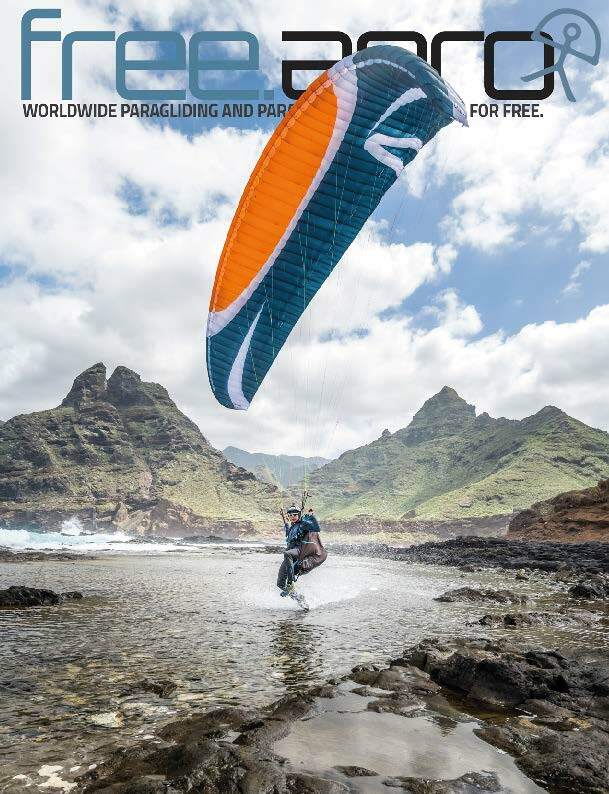 The 10th Paragliding World Cup Super Final is taking place in Baixo Guandu, Brazil, from the 19th to the 30th of March 2019. Baixo Guandu is a favourite destination for the Paragliding World Cup, with its stunning black granite dome mountains and testing tasks in the land of record-breaking skies. For the first time in many years we have got a real variety of gliders, with pilots flying wings from five top manufacturers, all CCC certified: Flow, Gin, Niviuk, Ozone and UP. On the World Cup website (pwca.org), you can now see preview pilot profiles of the high flyers from 2018, who will be taking part in the Super Final. The pilot quality in this Super Final is going to be amazing. 6 out of the 8 previous overall Super Final winners will be taking part: including Charles Cazaux, the champion in 2009 and only pilot ever to have won both the World Championships and the Super Final. X-Alps star, Aaron Durogati, the only pilot ever to have won the Super Final twice (2012 + 2016), will be flying high and fast hoping for a third title. Current Super Final champion Michael Sigel will be hoping to hold onto his title. Three ladies taking part have each won the ladies Super Final twice. Keiko Hiraki (2009, 2013), Petra Slivova, (2010, 2011) and Laurie Genovese (2014, 2017). Petra Slivova also won the World Cup tour (the predecessor of the Super Final) in 2002, 2003 and 2004. Along with Méryl Delferriere, 10th overall last year, and European Champion, Klaudia Bulgakow (2013), could we see the ladies knocking the men off the Super Final podium this year? Eight World/European champions will be taking part, six men and two ladies. 29 pilots taking part in this Super Final have already won a World Cup event (20 men and 9 ladies), and 48 competing pilots have already won a World Cup task! The standard doesn’t get any higher than that! Keep up with everyone on the PWCA app, read the live Commentary, and follow your favourite pilots on the tracking to see who the high flyers in this amazing competition will be. 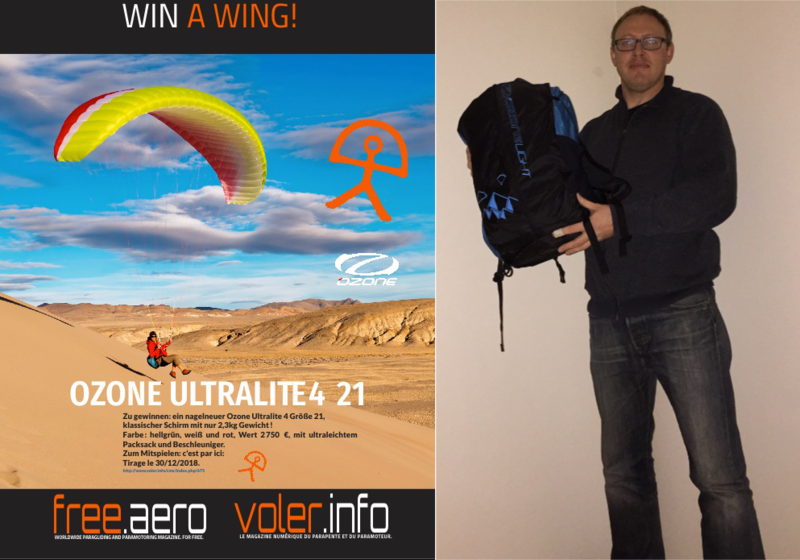 The winner of the prize draw for an Ozone Ultralite 4, size 21, held on the 31st of December at 21h28, was Grégory Bernard, from Poitiers. Well done Grégory and commiserations to all the others. However, if it’s any consolation, we will be organising more competitions in the future. Gregory, who has just received his prize, has been flying for thirteen years. He is a field technician who flies both in the north of France and in the Pyrenees. The Ultralite 4 is very appropriate for him because he is just getting into Hike&Fly. 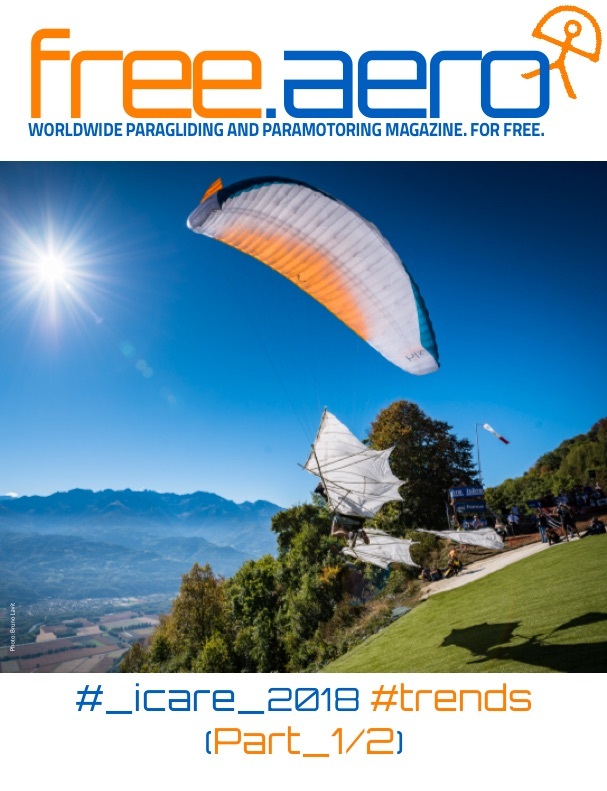 At the 2018 Coupe Icare, the biggest free flying festival in the world, new technology such as the RAST system took pride of place. Hi-tech for flying with total peace of mind. We also noticed that the single skins, whilst diversifying, have gone fully into another, well established trend: lighter and simpler. This return to basics has also happened in cutting edge technology, such as the use of high-tech modern fabric like Skytex 27. It has been tried and tested for more than a decade now. The next step in light weight, Skytex 21, is expected to feature in the 2019 X-Alps. We visited the textile factory in France. We are often asked ‘how do you take beautiful photos of paragliders?’ We have gathered together some great photos and put explanations with them. In addition, in response to our request, some photographers have chosen one of their favourite photos and told us its story themselves. Fabric Karabiner, Softlinks vs. Softlinks: A few things worth knowing about these fashionable connectors. Also: an example of a fairly badly made connector. THE WEATHER IN THE SUMMER OF 2018: HEAT, OMEGA AND SURPRISES. Paragliding World Cup Turkey: Unfortunately, task 1 was stopped 2 minutes short of the time needed for the day to be scored. Let’s see what today brings. The Paragliding World Cup is currently taking place, for the first time ever, in Aksaray, Turkey from the 8th to 15th of September. The pilots will be taking off from the slopes of Hasan Dagi, a 3270m dormant volcano. Apart from the mountain the take off is on, the terrain is mainly flat with small hills and some impressive gorges. The flying here is technical, switching gears often being the key to success. 14 Turkish pilots are taking part, including Turkish national champions, Oguzkan SADEER (2017) and current champion, Serdar TUR. So, let’s hope we can see a Turkish pilot on the podium for the first time, however the level in this competition is once again going to be extremely high. Seven overall world Cup winners are taking part including the only pilot ever to have won both the Super Final and the World championships: Charles Cazaux. 3 lady’s winners are competing including the petite, but formidable, Seiko Fukuoka Naville. Also taking part are the young and not so young from the World of acro: newbie Jack Pimblett and three times World Cup winner, Felix Rodriguez. French pilots participating include task winner in the last World Cup in Sopot, Bulgaria, Rémi Bourdelle and just back from the Himalayas, Damien Lacaze. Six Pre World Cup winners will also be taking to the skies above Hasan Dagi hoping to graduate onto the World Cup podium. Last, but by no means least, making his World Cup debut is Tanguy Renaud-Goud, winner of the Pre World Cup in Clopotiva, Romania and the 2018 Airtour. Also of note, Michal Sneiberg will be flying the UP RFC (Ready for Certification) glider, an initiative which has been a great success now for almost a year. With a Super Final place in mind for many, this promises to be a very exciting competition. 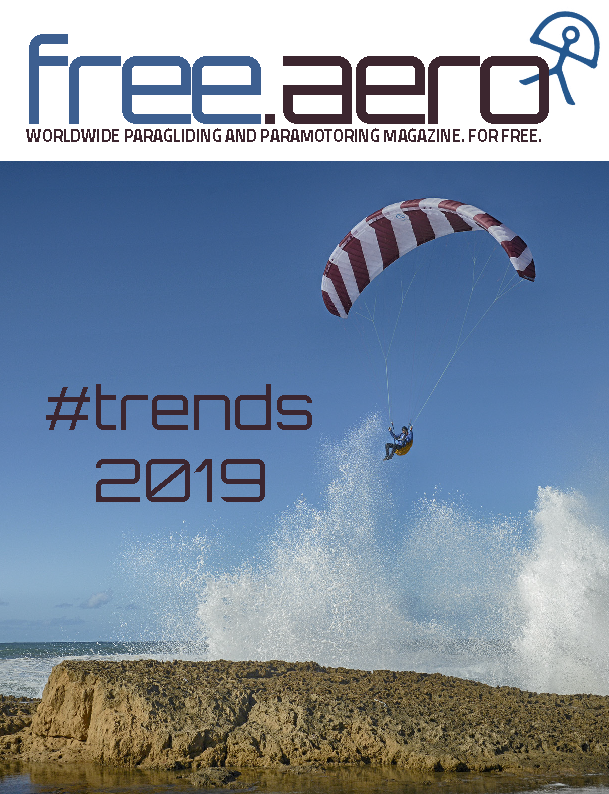 It is the last leg of the 2018 season and the final chance to get a top 15 place, or top 3 ladies place, for automatic selection to the ultimate paragliding competition, the World Cup Super Final in Baixo Guandu in 2019. Don’t forget to keep up with what promises to be another amazing competition via the live Commentary and tracking on the PWCA app and watch some stunning footage and pilot interviews on World Cup TV at www.pwca.org. The World Cup takes place in Sopot, Bulgaria, 19/08/2018 - 25/08/2018. Taking part, Helmut Eichholzer who won the last World Cup held at Sopot in 2008 and Jurij Vidic, hoping to make it two World Cup victories in a row, having won the most recent World Cup, in Gemona, Italy. Top Bulgarian pilot, and ex European Champion, Yassen Savov, who knows this area very well, will definitely be one to watch and keep up with if you can, along with young British Pilot and 2018 European Champion, Theo Warden. Two other outstanding young ones to try and keep up with: Loïs Goutagny, 4th in Bright, Australia and Simon Mettetal, 4th in Baixo Guandu, Brazil (his first ever World Cup). World Cup winners in waiting, who will be trying to outsmart and out experience the youngsters are former British Champions Alex Coltman, Guy Anderson and Craig Morgan. From the far, far north there are two very colourful characters who took their first Super Final (2017) by storm. Hans Kristjan Gudmundsson, won task 5 hands down. Jouni Makkonen, for whom the Super Final was his first ever World Cup and who has won the Bright Open, in Australia, every year since Finnish pilots were allowed to compete, will also be worth keeping an eye on in Sopot. Also taking part from the famous paragliding family Lambert: Baptiste Lambert and Dad Cyril Lambert. Felipe Rezende will be flying the Flow Paragliders RFC XCRacer. Also on an RFC wing is Michal Sneiberg flying the UP Proto. The EAPR testing house will not be carrying out any more German LTF certifications. The reason: five years after their first DAkkS accreditations they would have to redo all their audits and reports. 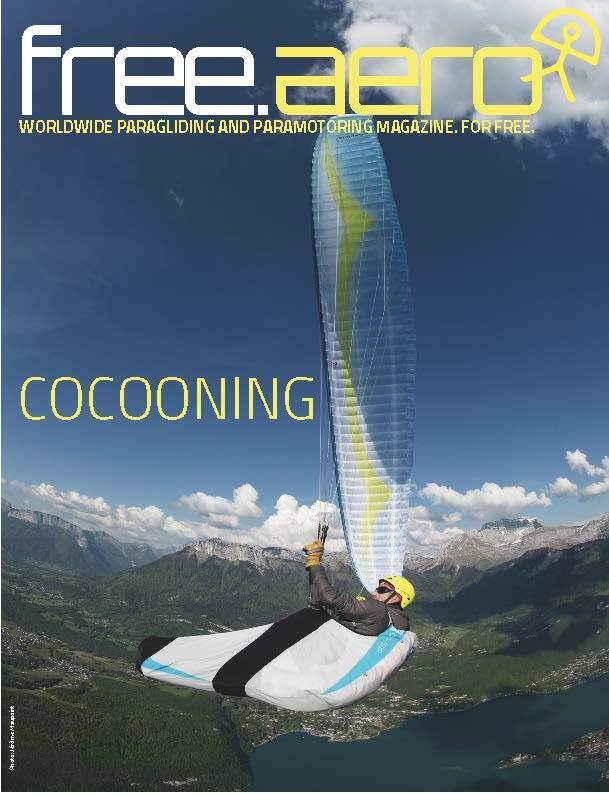 The anticipated cost: about 50,000 €, according to its Managing director, Guido Reusch who is also Secretary of the Paragliding Manufacturers Association, the PMA. Despite a high volume of work over the last few years, the EAPR estimates this to be too high an investment, and so they will no longer be providing the famous LTF certification from the 1st of August 2018. It’s ironical in a way because it was the EAPR which actively participated in the testing houses becoming governed by the DAkkS. However, as LTF certification remains obligatory in Germany, which is one of the biggest markets in Europe, the manufacturers will no doubt go to the DHV or Alain Zoller’s Air Turquoise. Aérotest, the FFVL’s testing house, could also benefit because, according to its framework, the accreditation of this federal testing house should be recognised at a European level, without having to go via a German certification body, such as the DAkkS. Alain Zoller from Air Turquoise will be faced with the same situation as the EAPR in 2020: should he invest this amount or not? For the moment, all hopes of using the EN norms instead of LTF in all European countries, including recalcitrant Germany, haven’t come to fruition. In the worst case scenario, the DHV’s monopoly could be rekindled. They have already decided to invest in the DAkkS for their 2019 audits. Guido Reusch’s EAPR will continue to test according to EN norms. The testing house also offers manufacturers advice and material tests. Starting today: The route of the hike and fly X-Pyr follows the Pyrenes from the Atlantic to the Mediterranean and will be a lot harder than in 2016!